Died on or since death presumed: 26th September 1917; age 20; KiA. 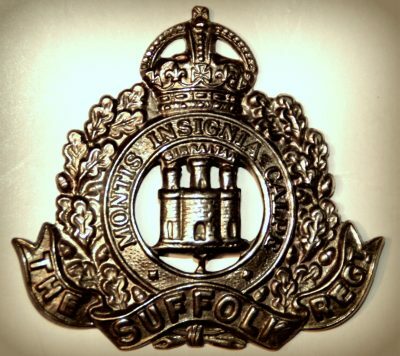 Relatives Notified & Address: Son of Charles & Edith Butler, of 30, Unity Street, Ipswich. 1901 147, Spring Road, Ipswich. Charles 3 years old and living with his parents & sister. Charles Johnson Butler, 29, a Labourer – Ship Yard, born Ipswich. Edith Annie Butler (nee Garnham), born Ipswich. Edith Lily J. Butler, 1, born Ipswich. 1911 30, Unity Street, Ipswich. Charles was 13 years old, an Office Boy – Plough Works. He was living with his parents & siblings. Charles, 39, a Master Mariner. Harriet Ellen J. Butler, 8, born Ipswich. Bertie Johnson Butler, 6, born Ipswich. Frederick Arthur J. Butler, 3, born Ipswich. Charles is also remembered on the Orwell Works Memorial Ransomes Sims & Jefferies and Holy Trinity church, Ipswich.